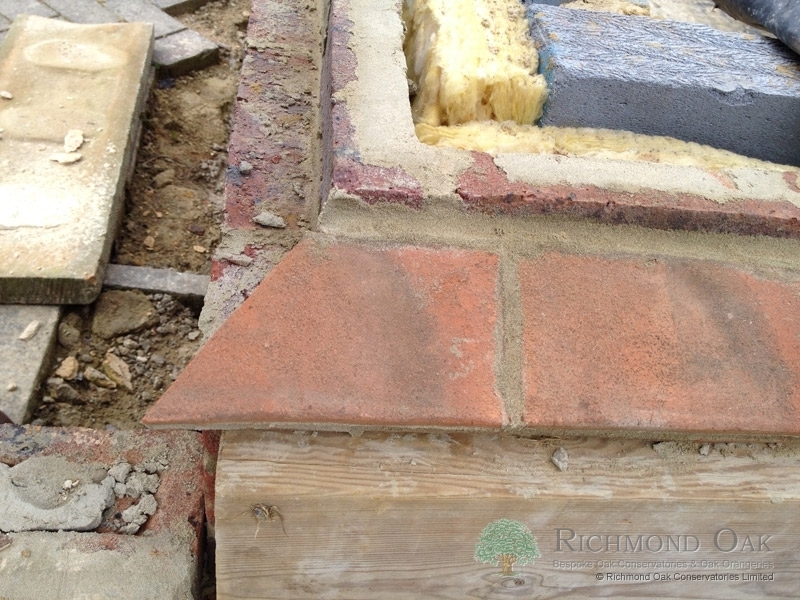 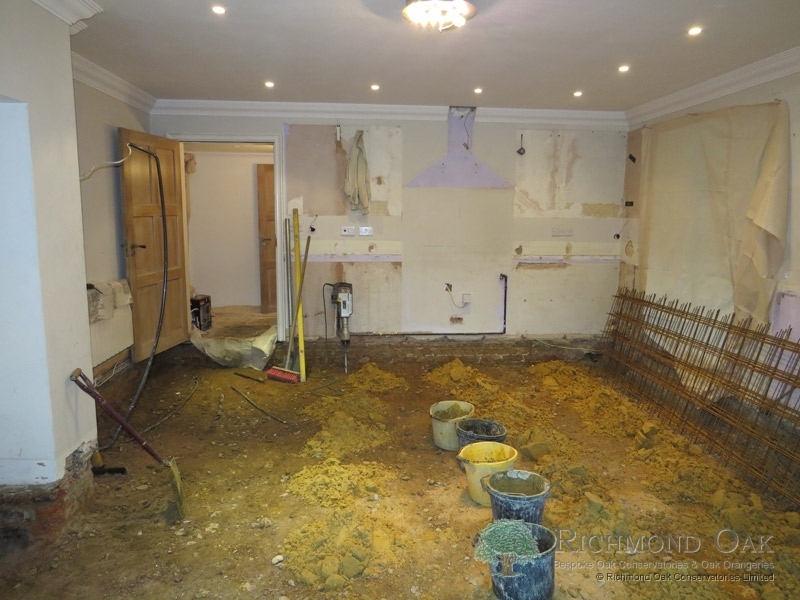 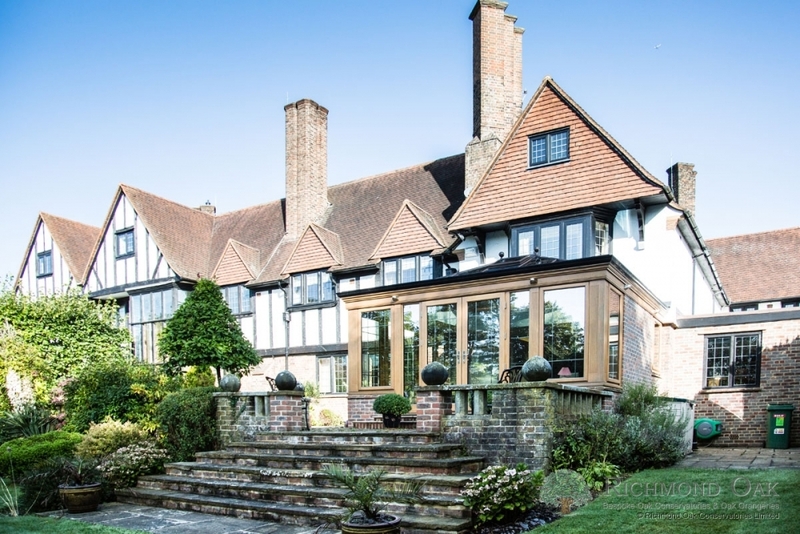 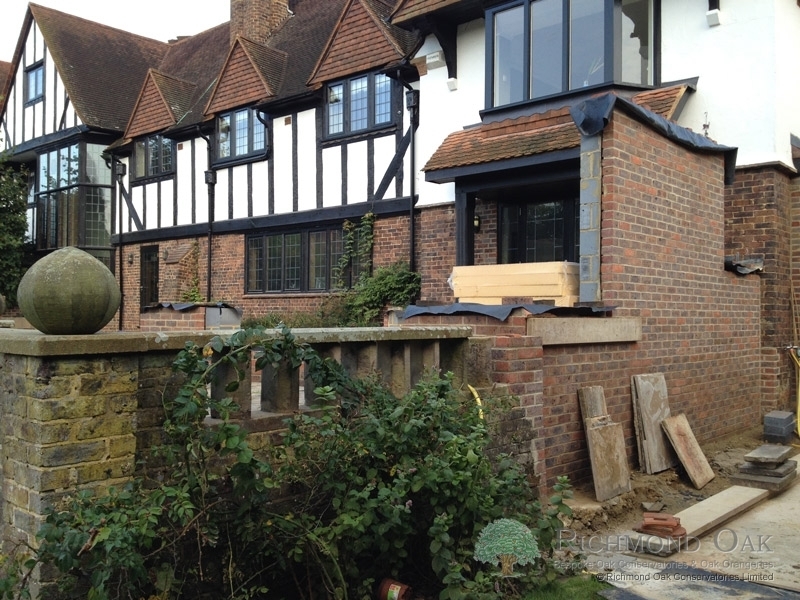 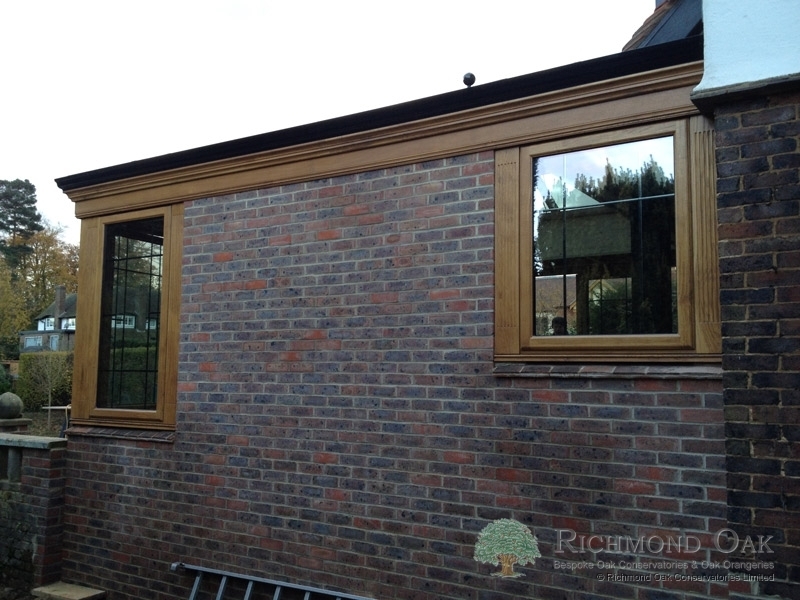 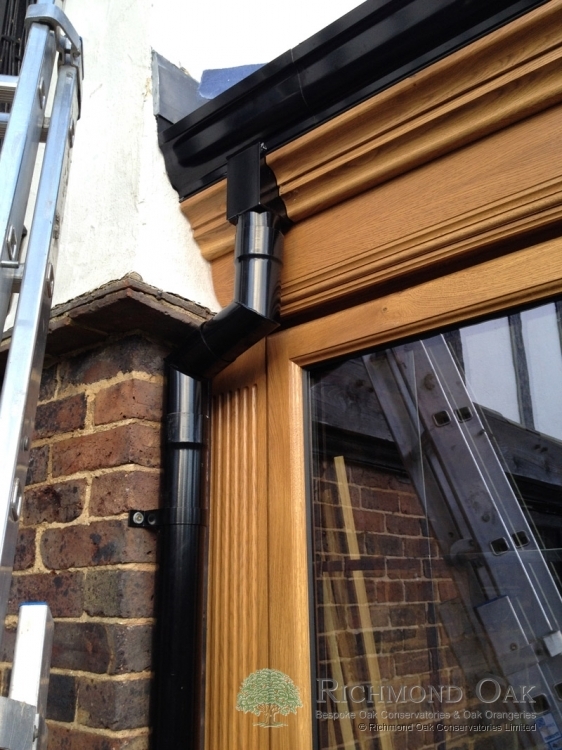 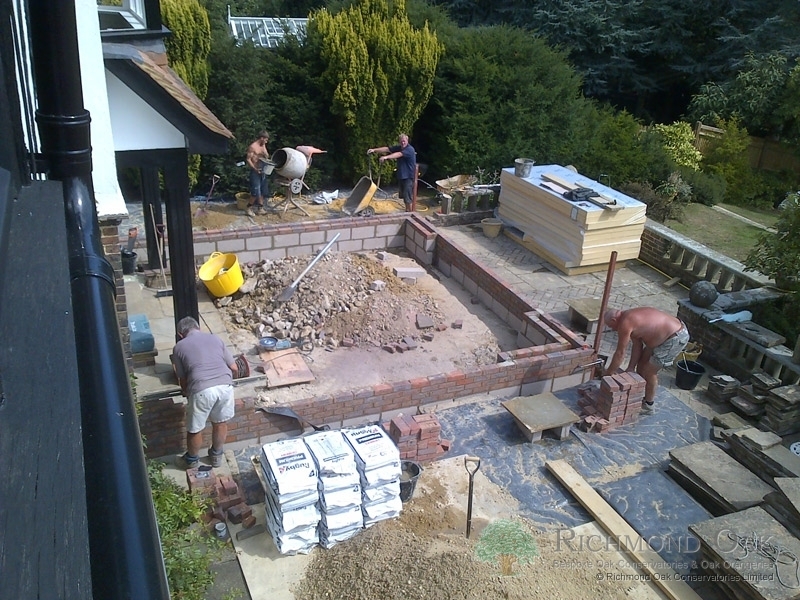 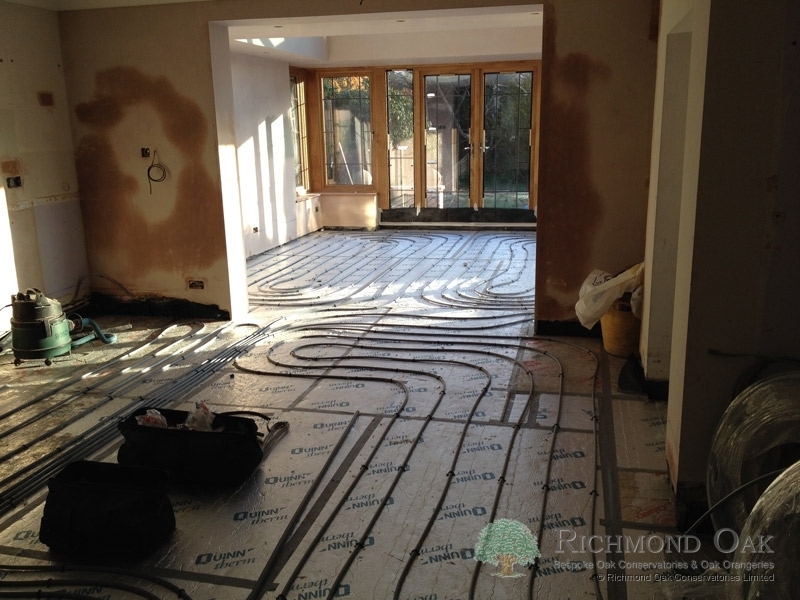 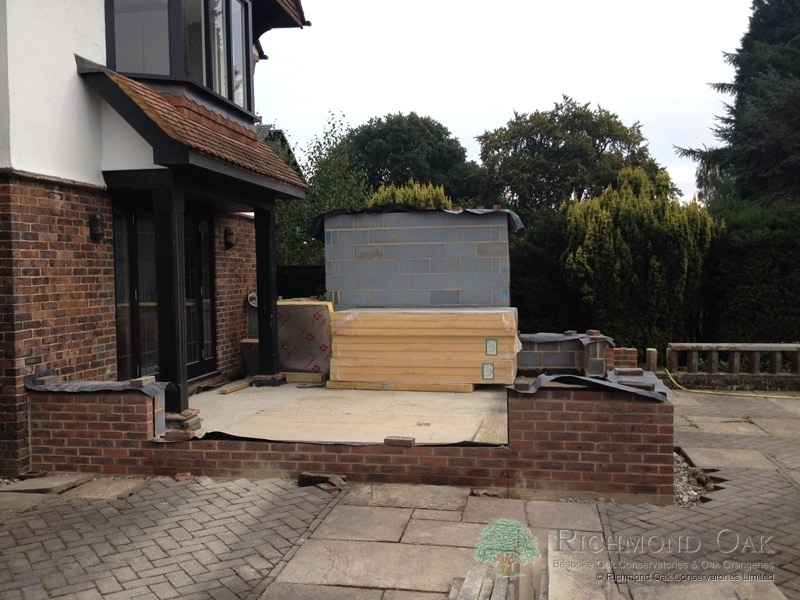 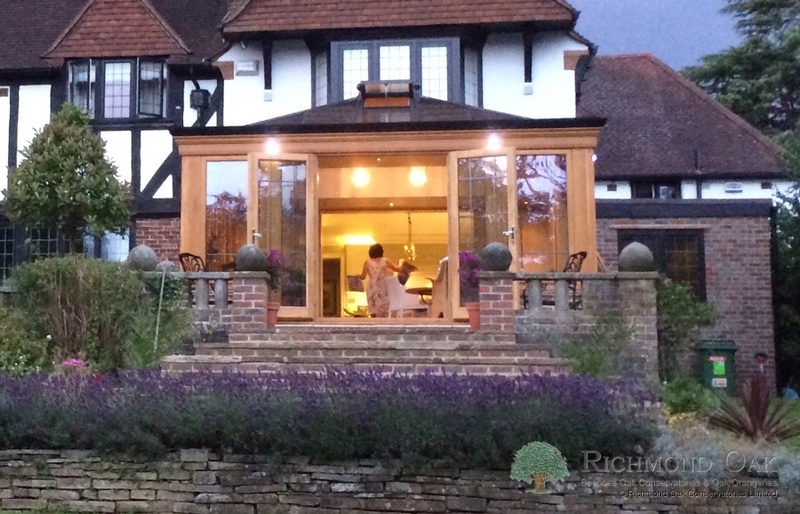 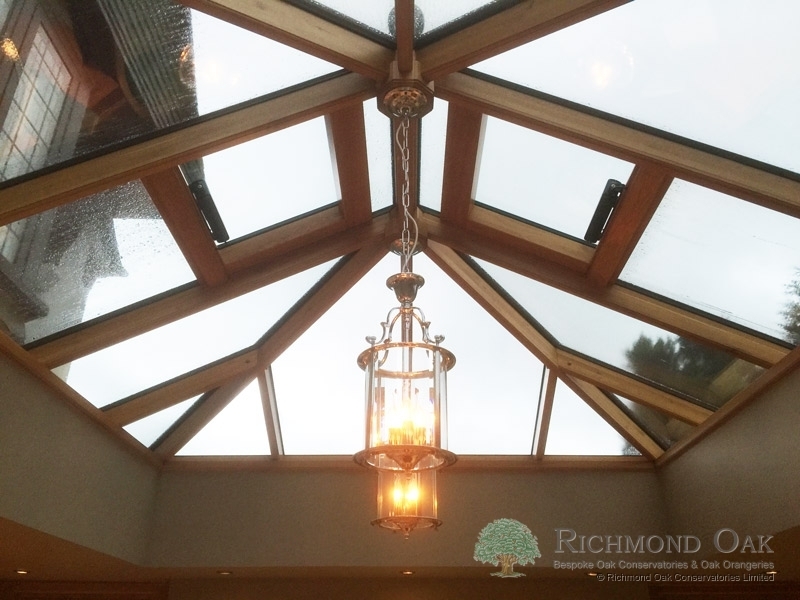 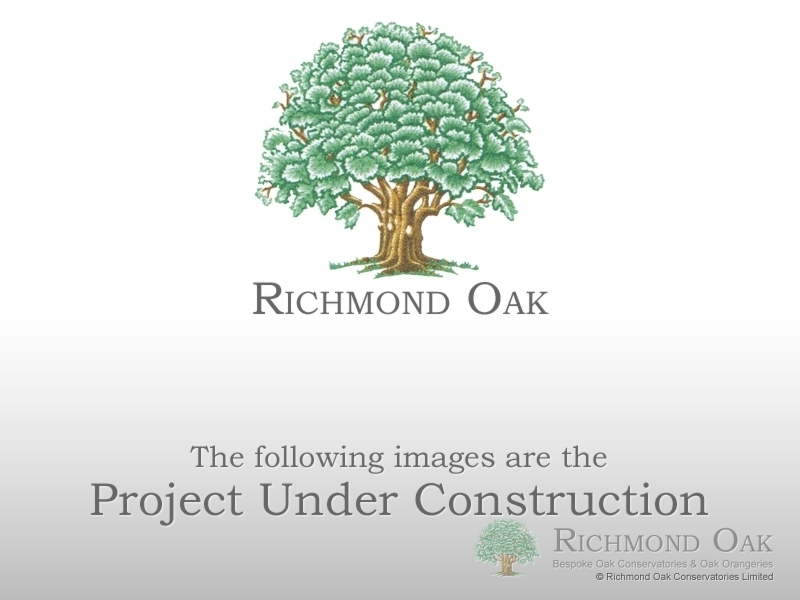 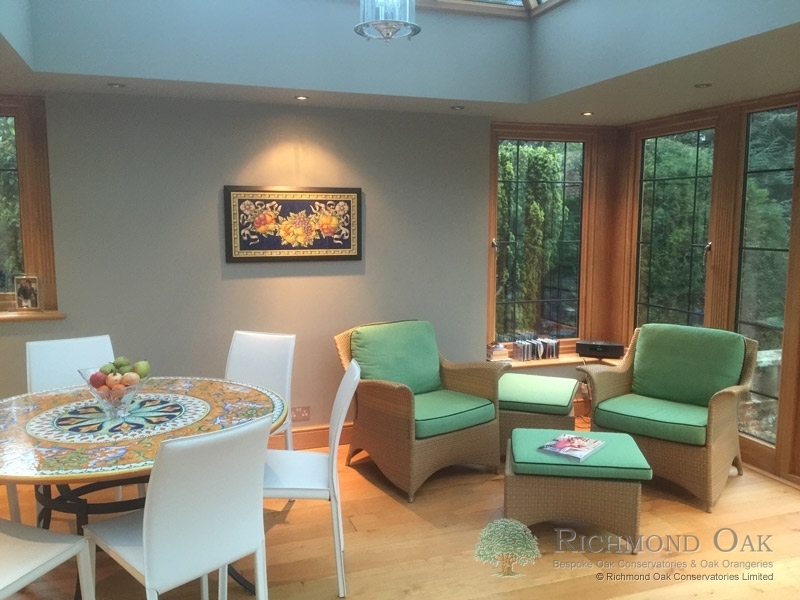 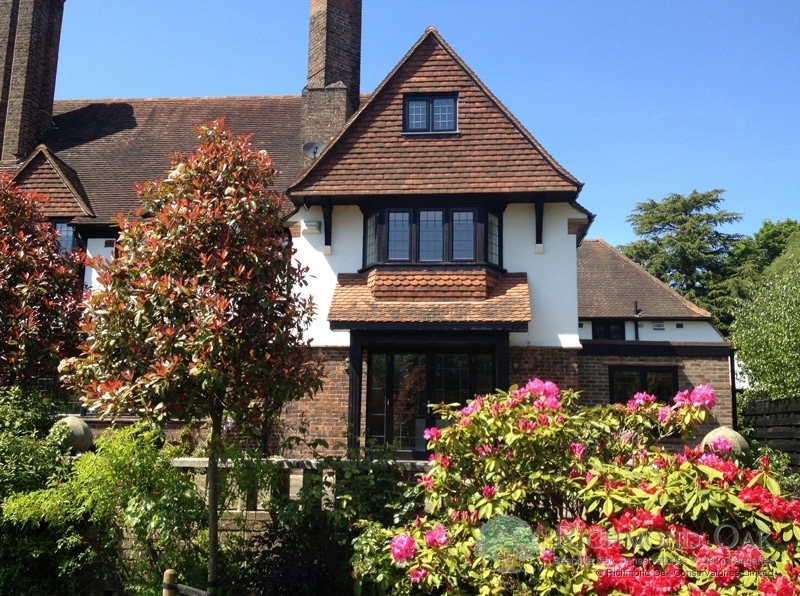 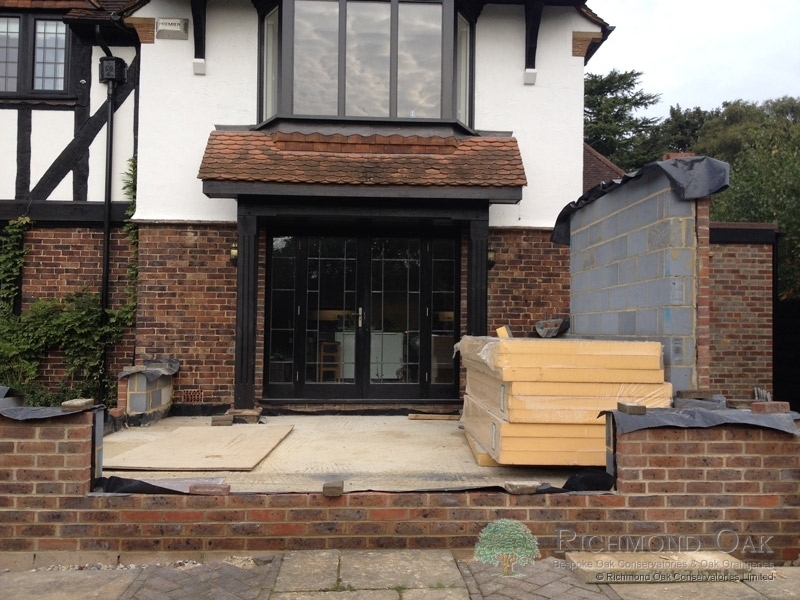 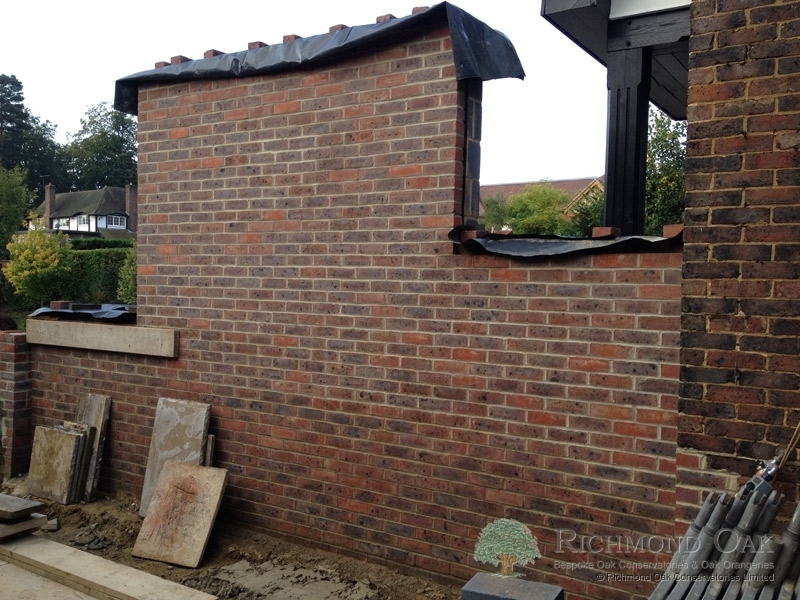 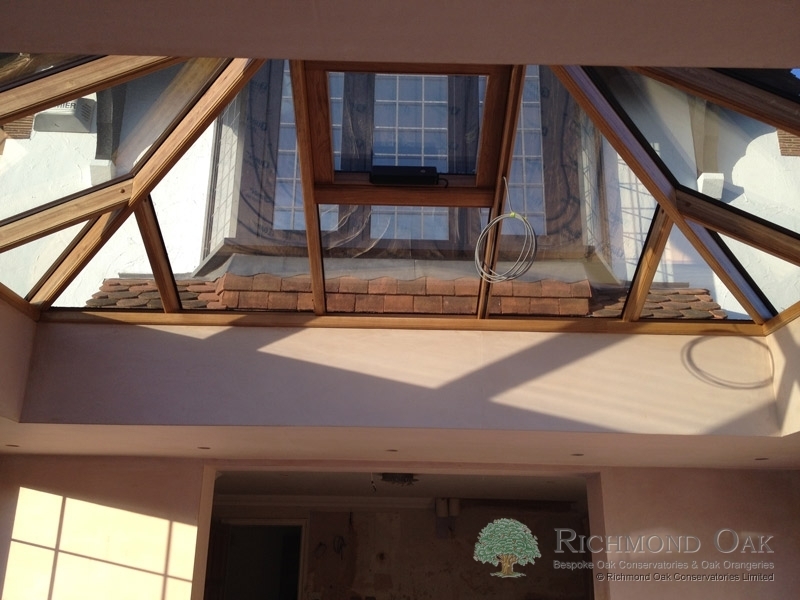 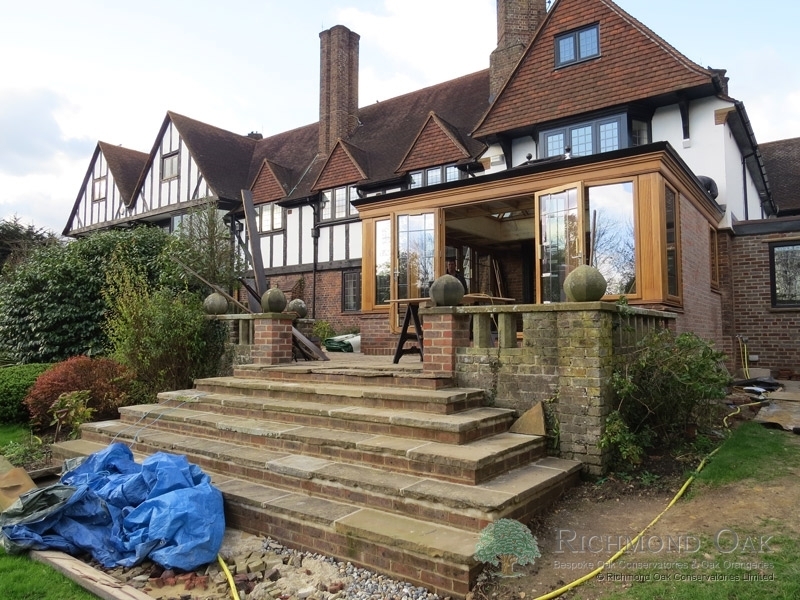 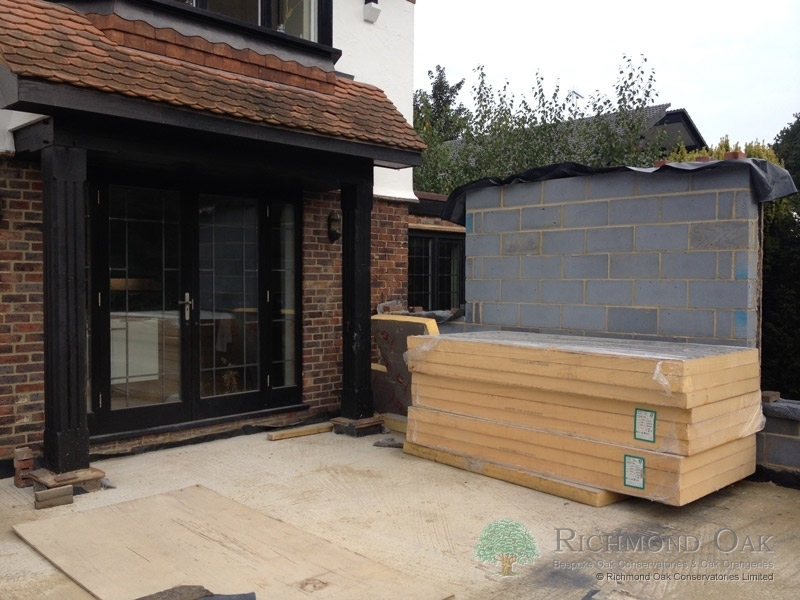 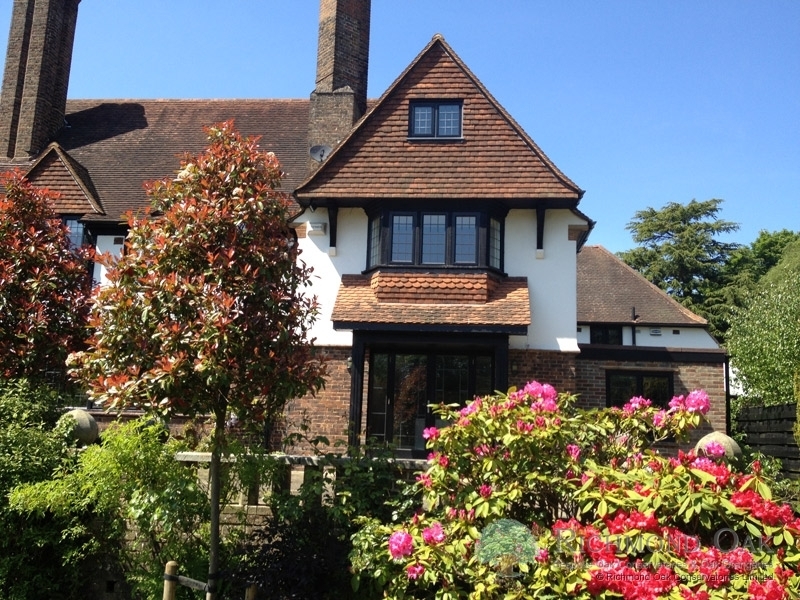 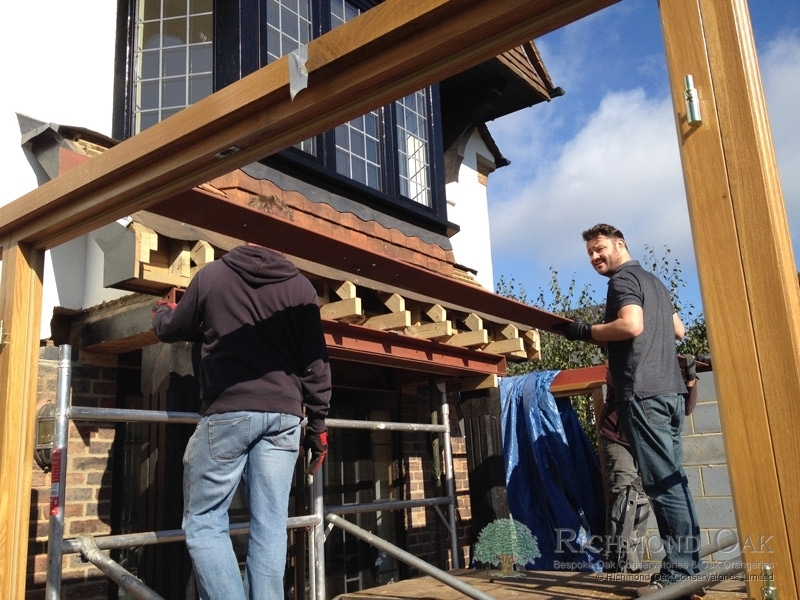 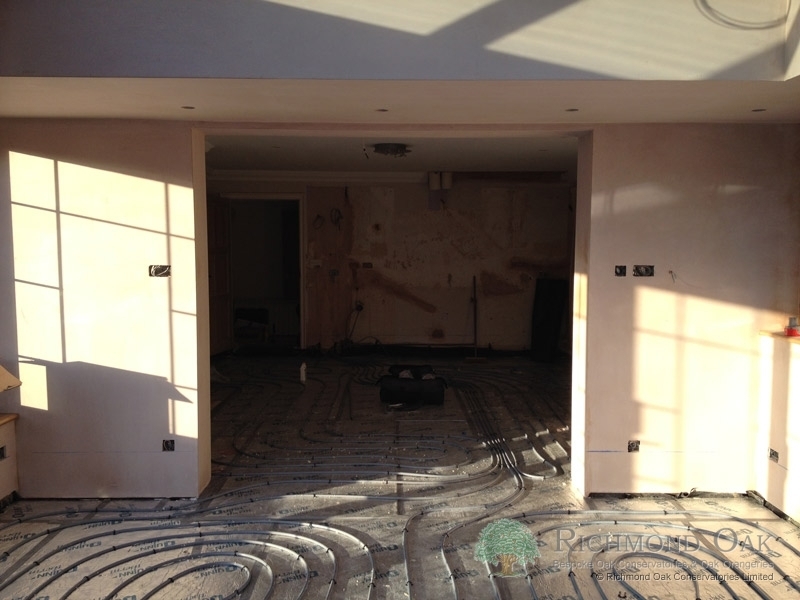 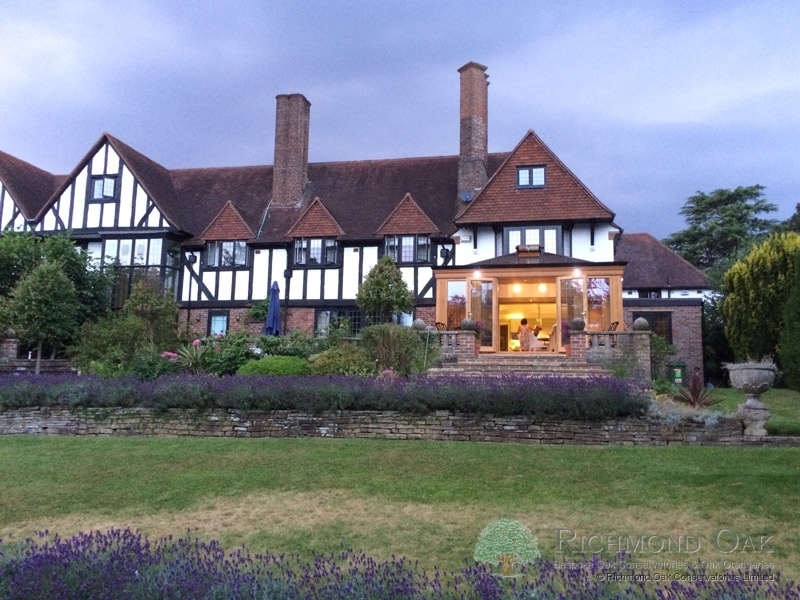 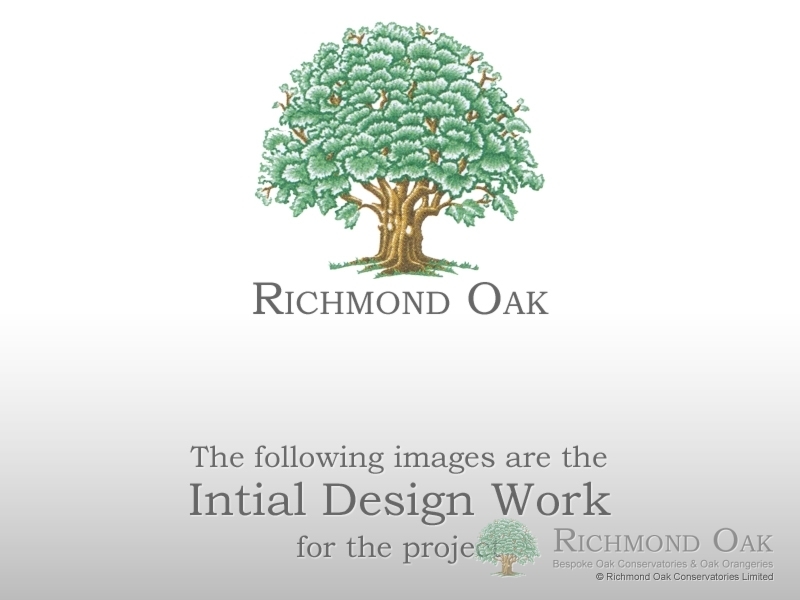 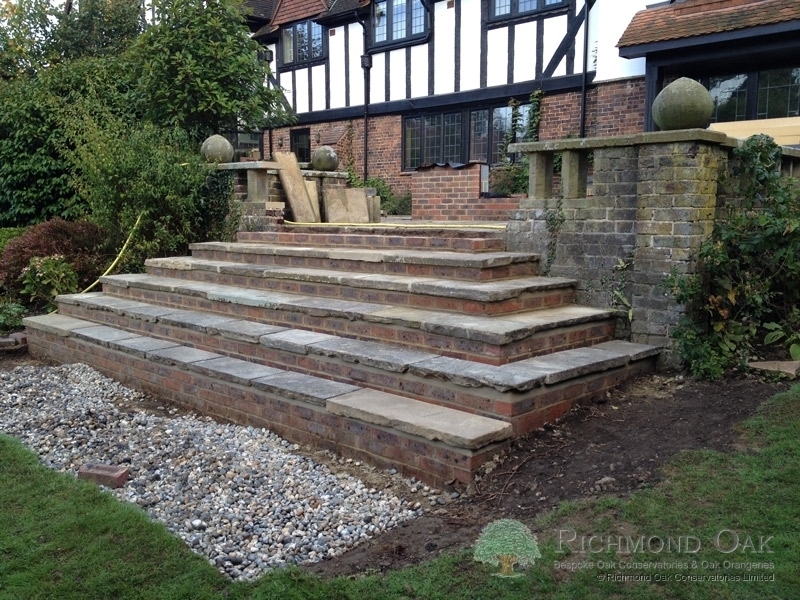 This was a really interesting project on behalf of Mr & Mrs Ratcliffe in Sevenoaks, Kent. 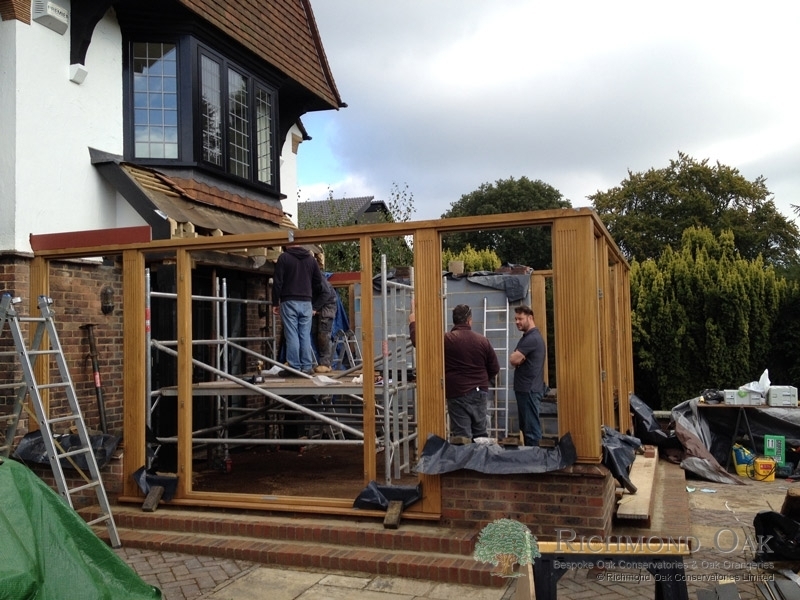 We broke through making this 25sq.m. 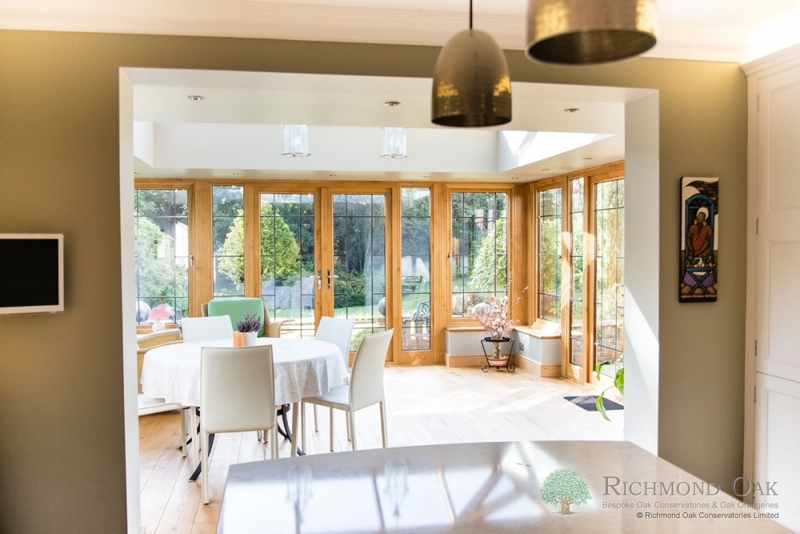 open plan with the new kitchen. 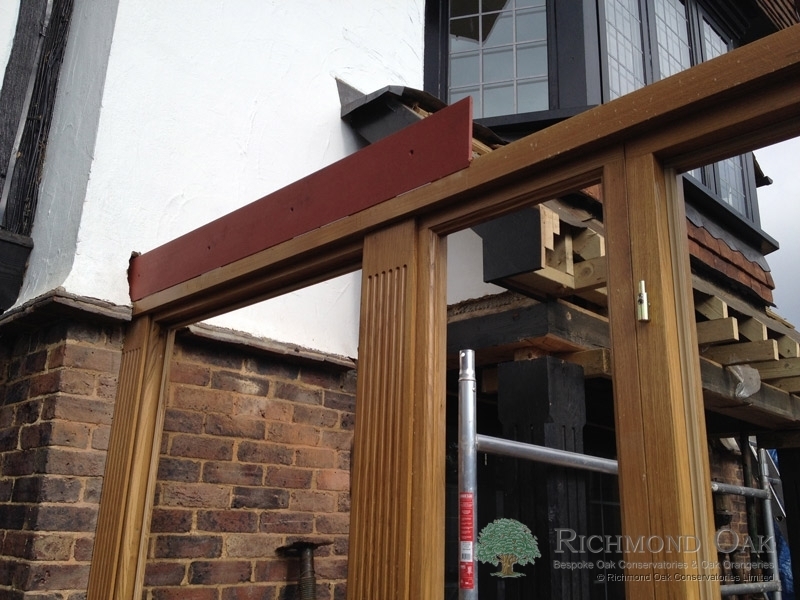 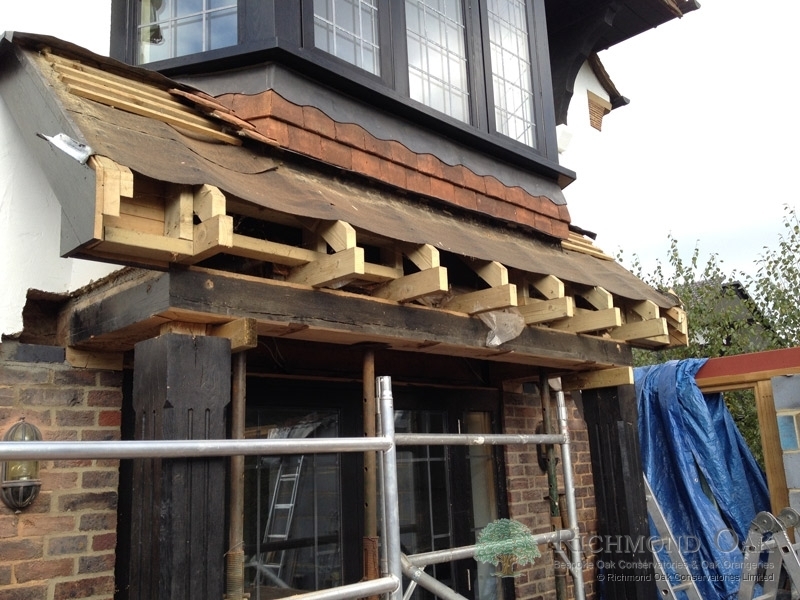 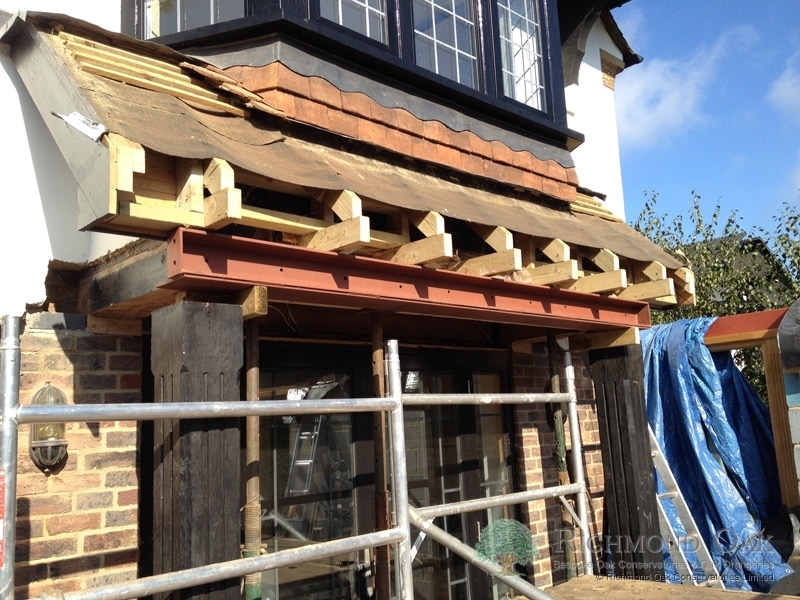 We had to install some additional structural steels to take the load of the bay window and roof gable, which previously had been supported by two 200mm square oak posts. 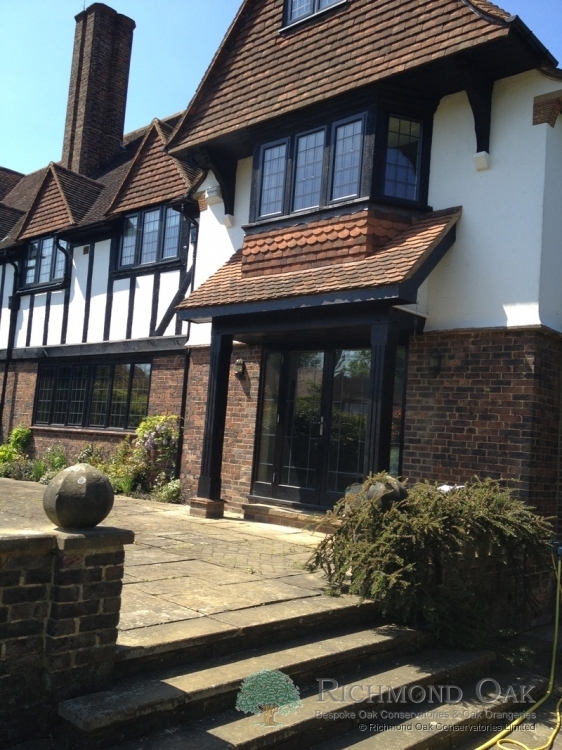 Originally Mrs Ratcliffe was quite insistent that the inside of the frames should be a Farrow & Ball colour and the outside black, to match the windows of the house. 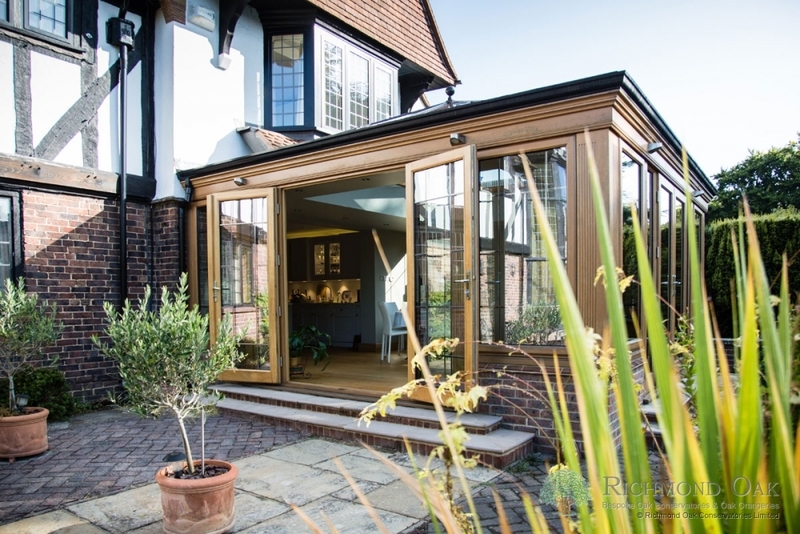 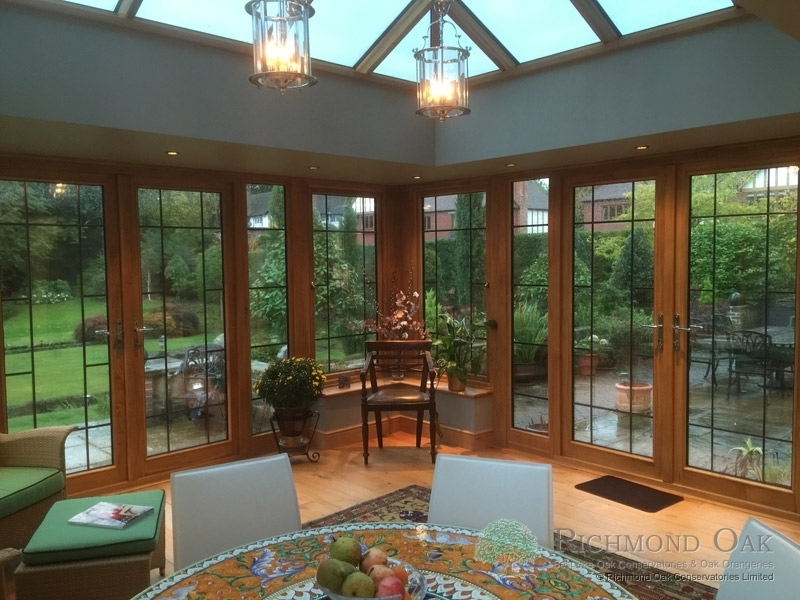 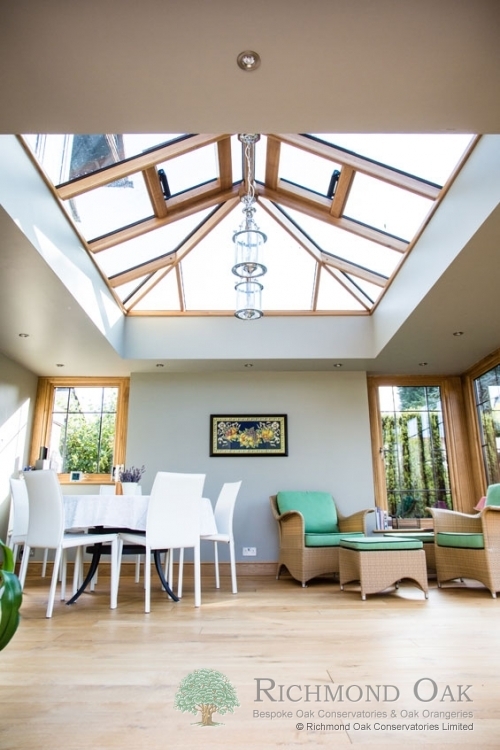 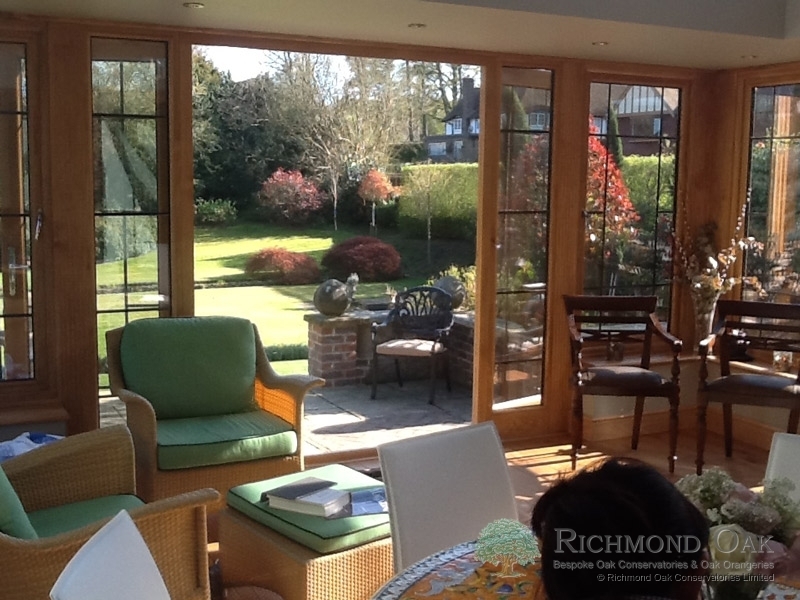 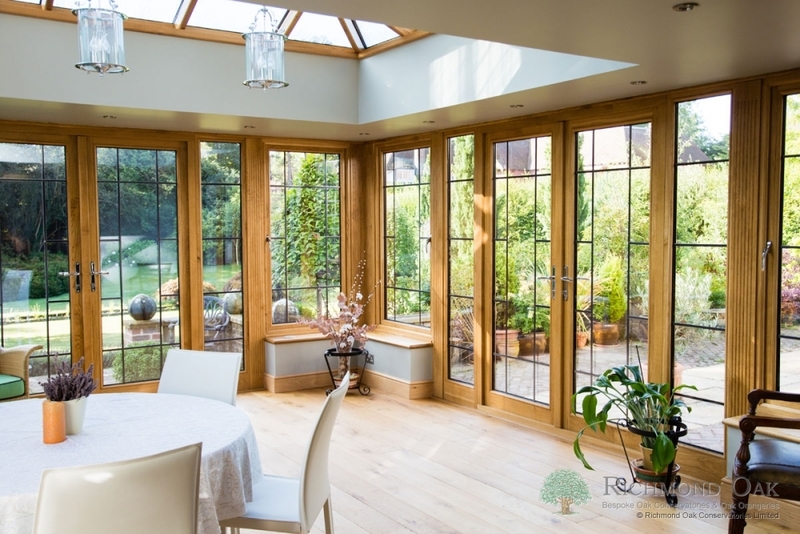 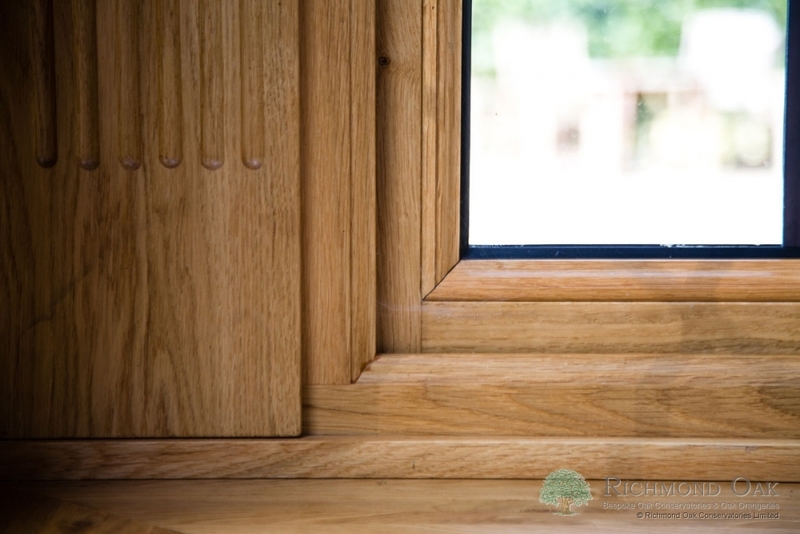 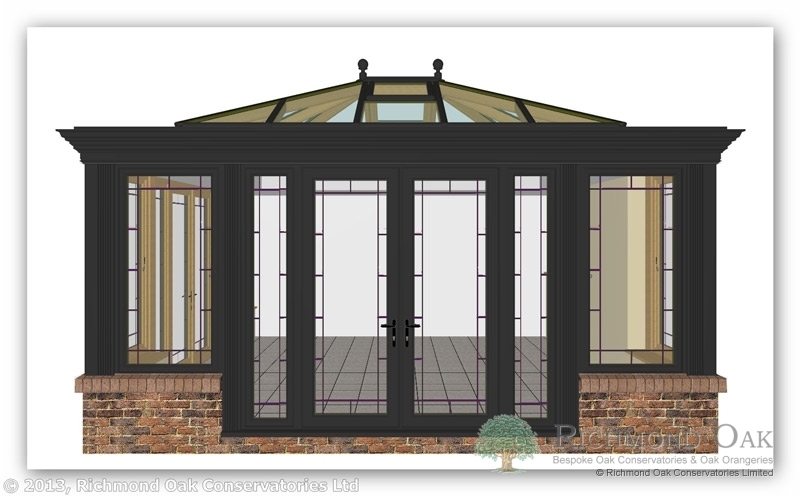 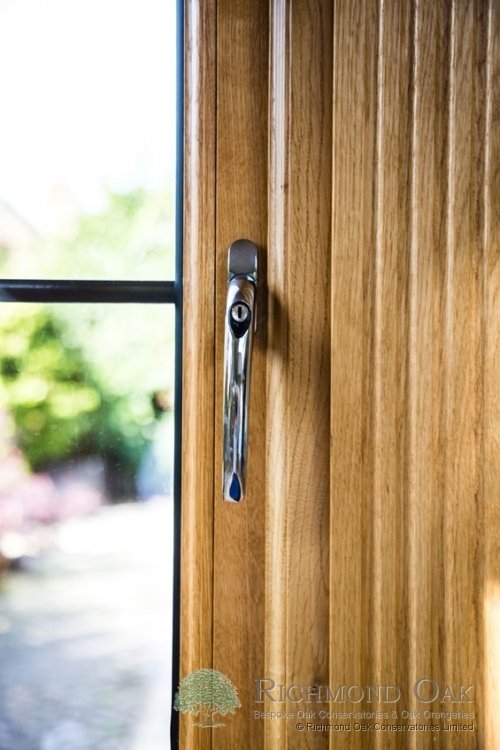 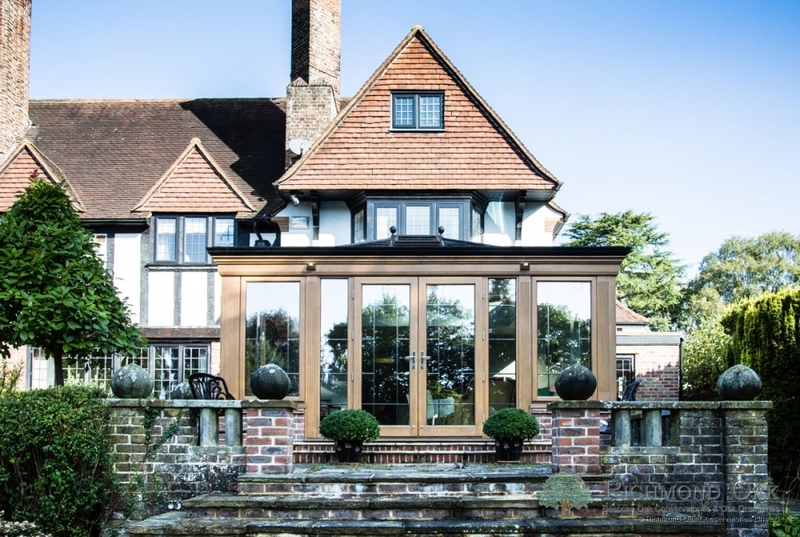 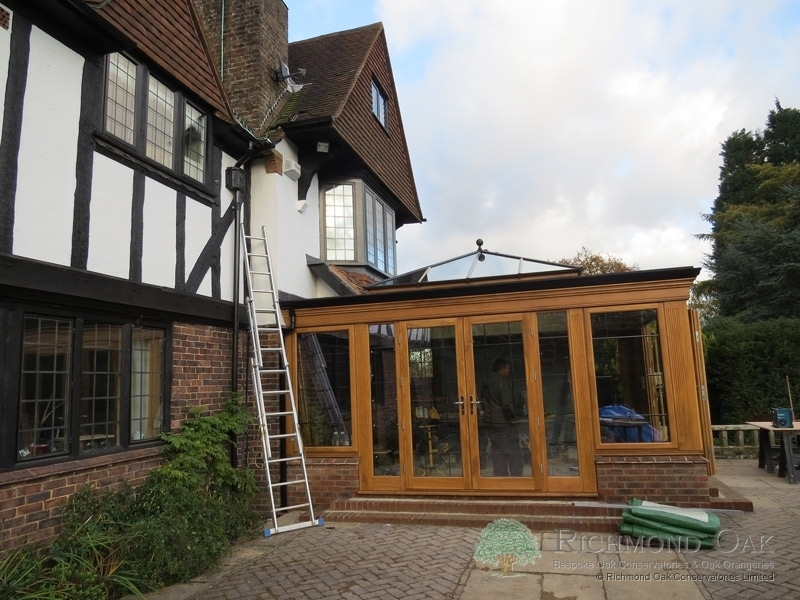 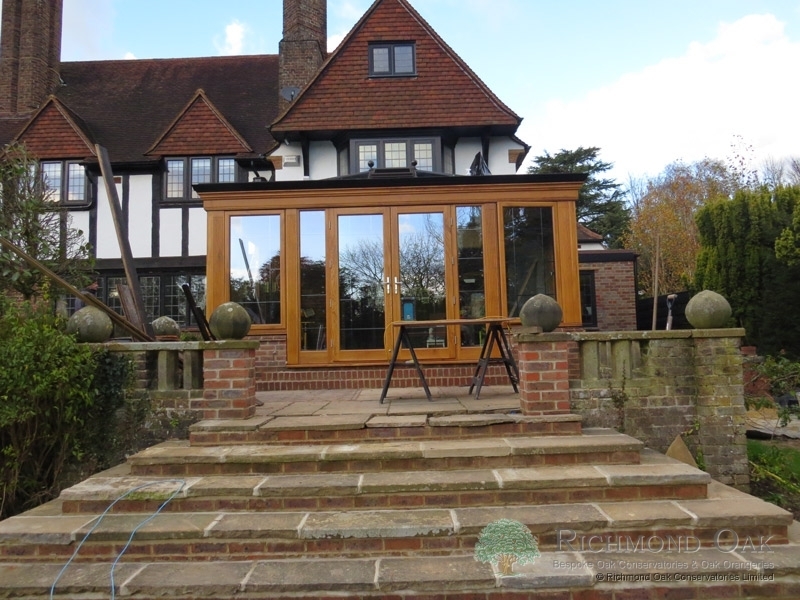 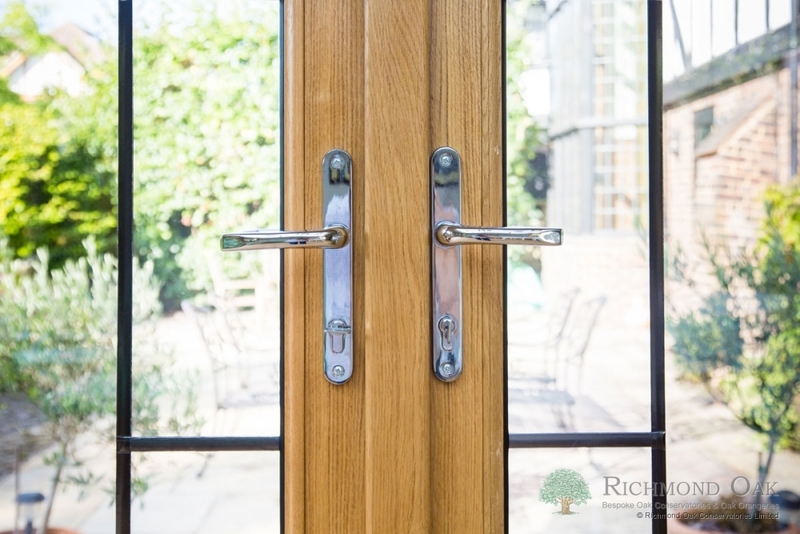 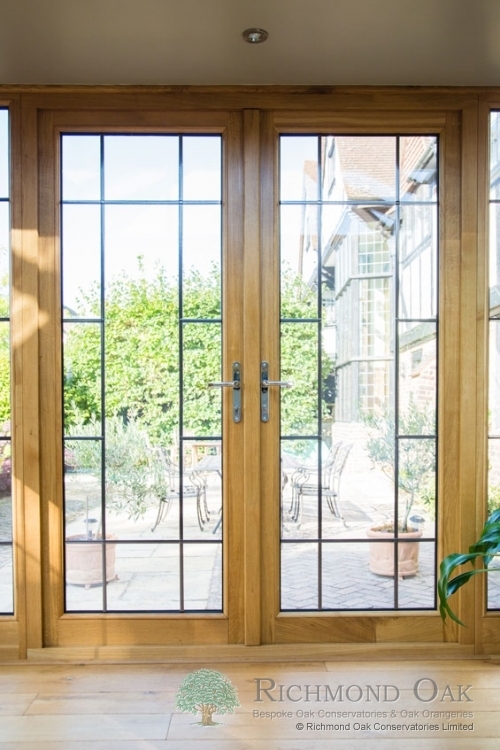 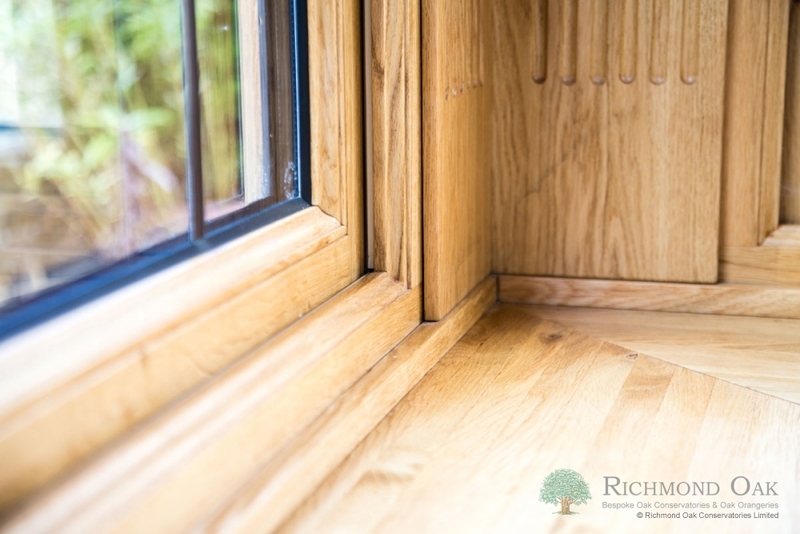 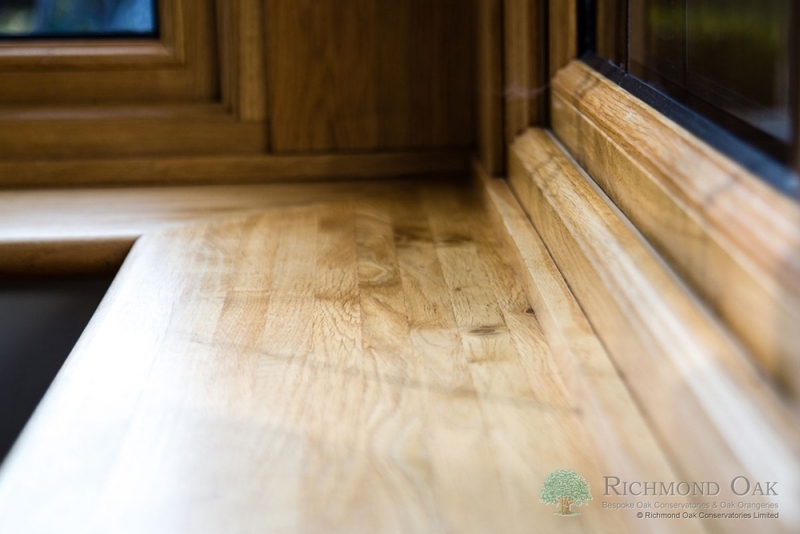 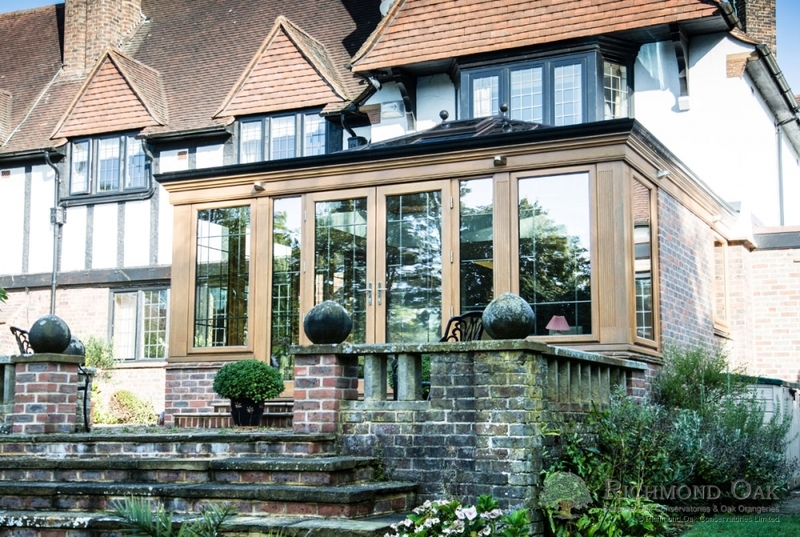 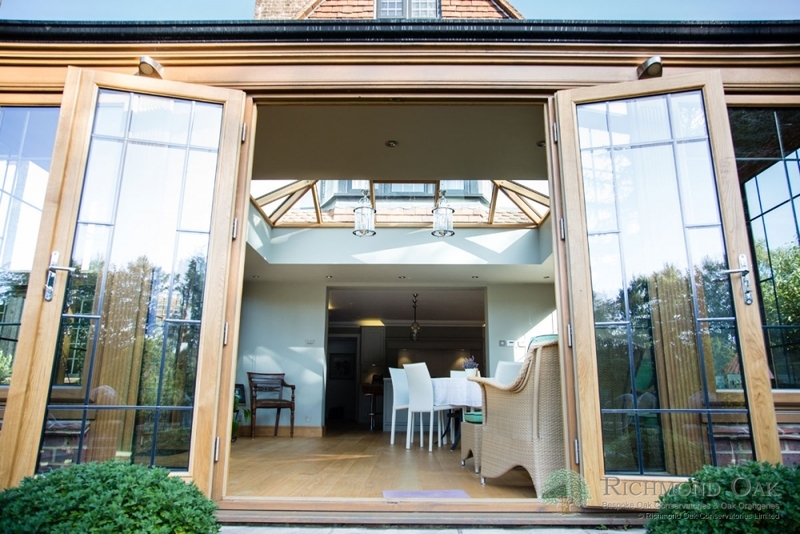 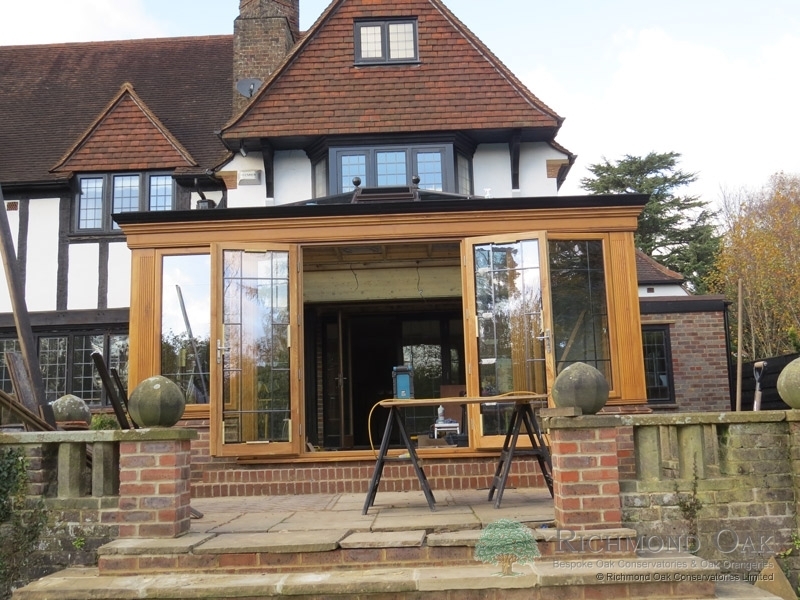 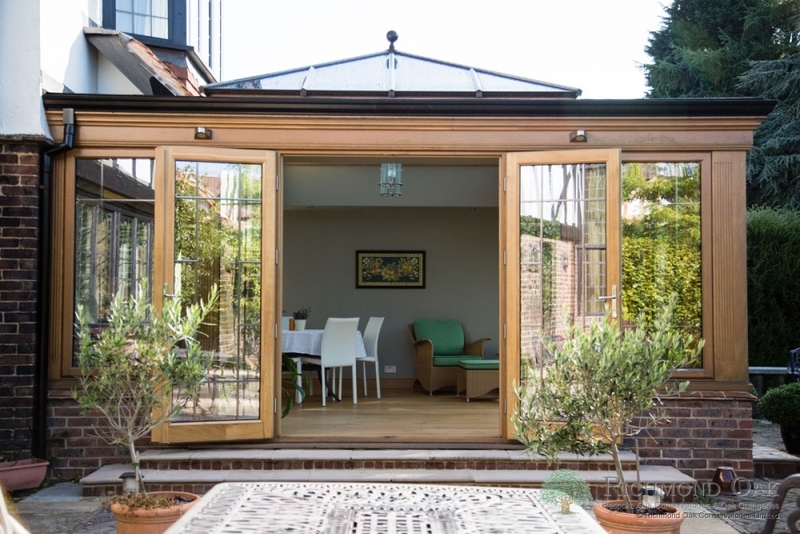 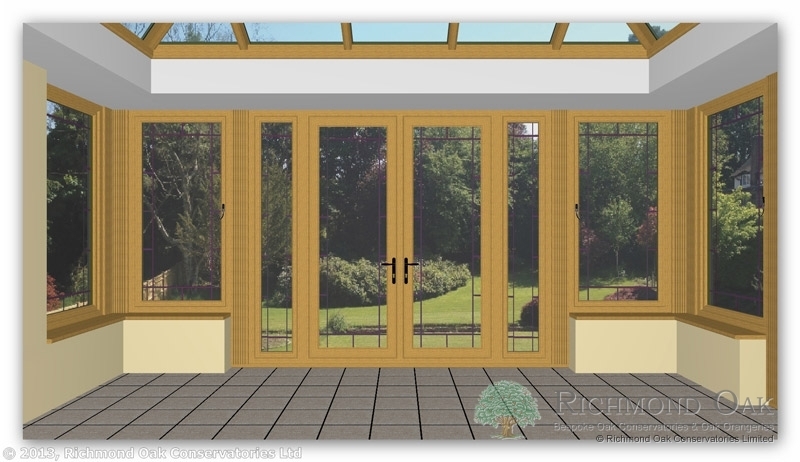 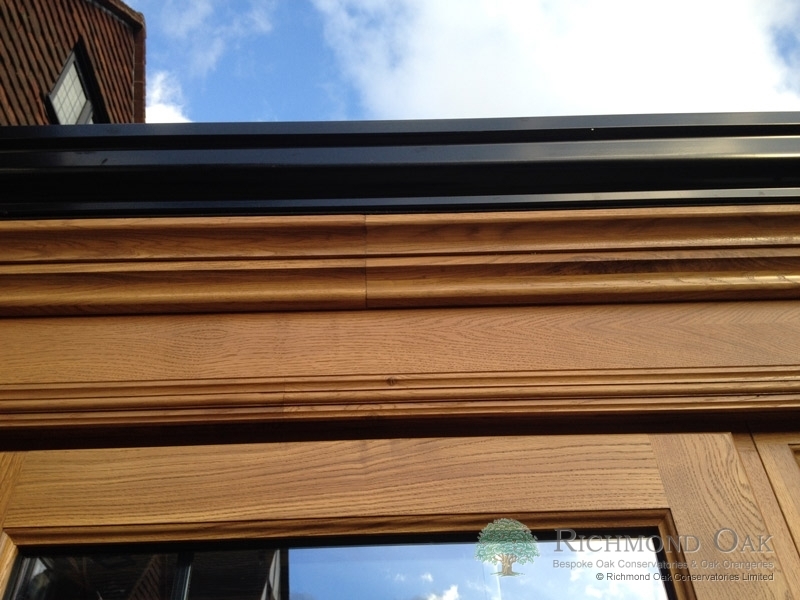 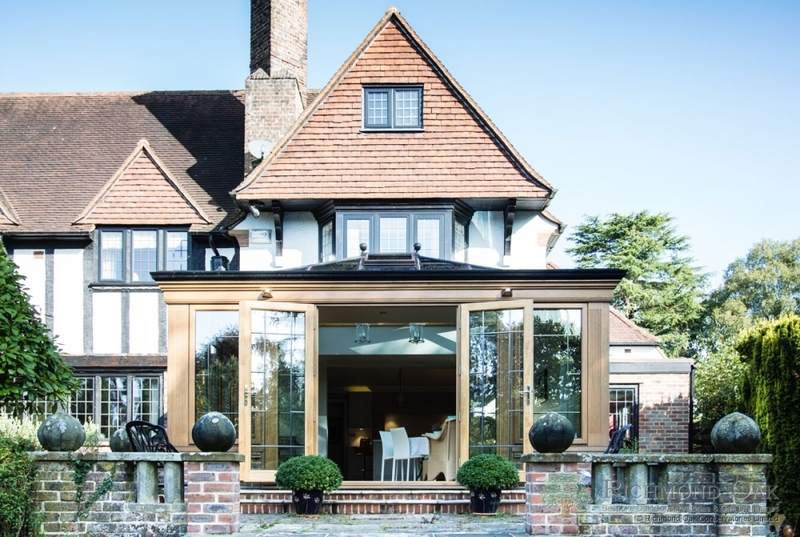 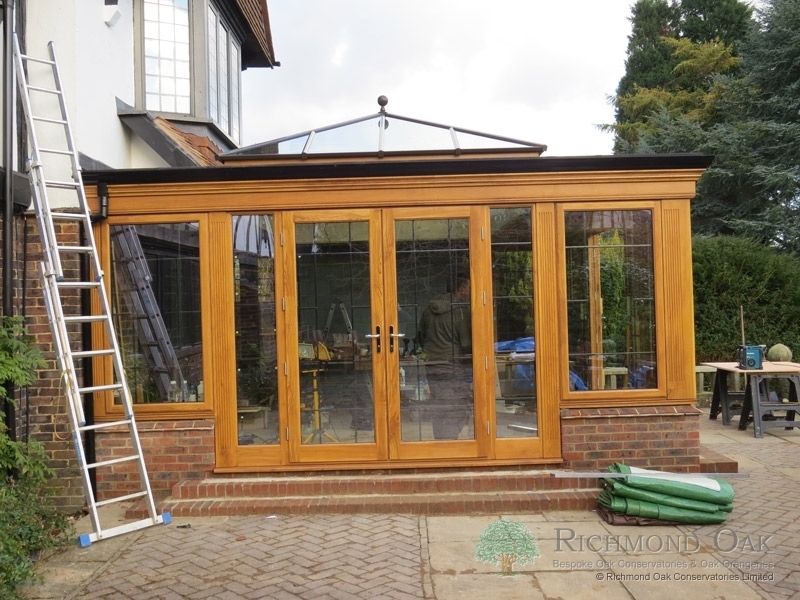 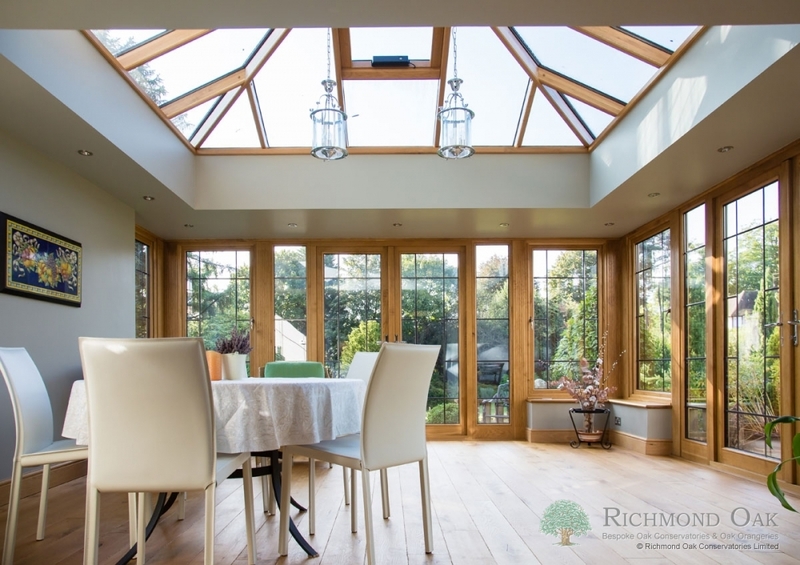 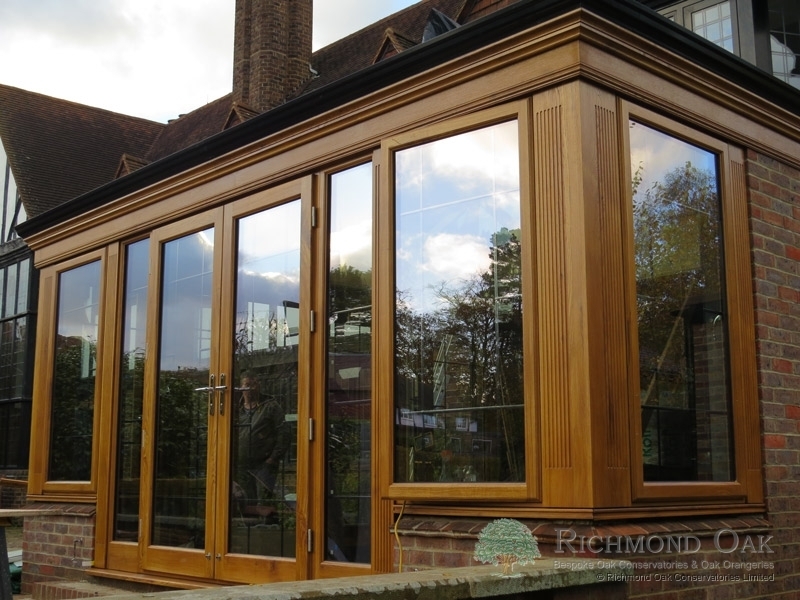 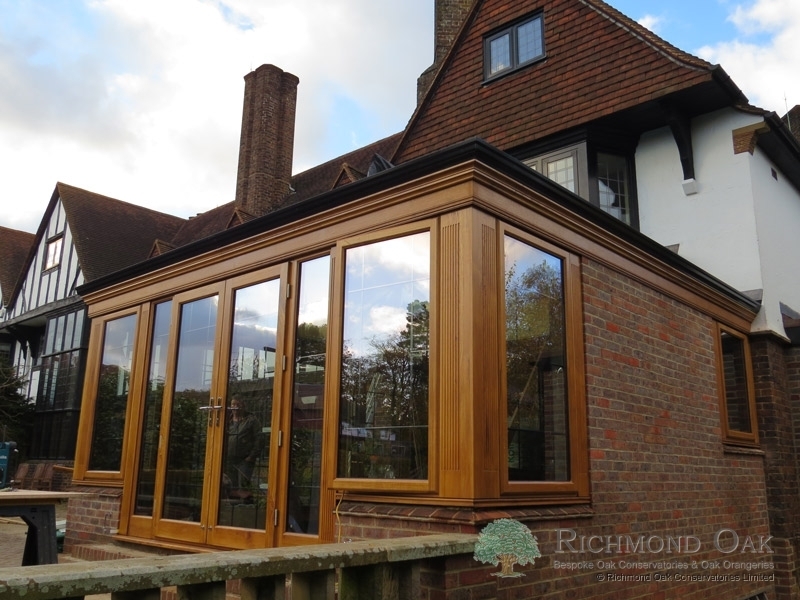 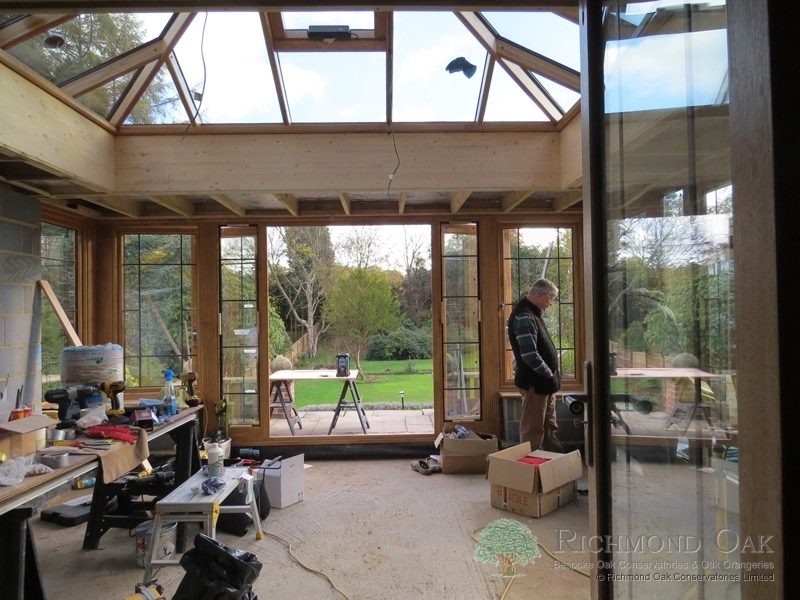 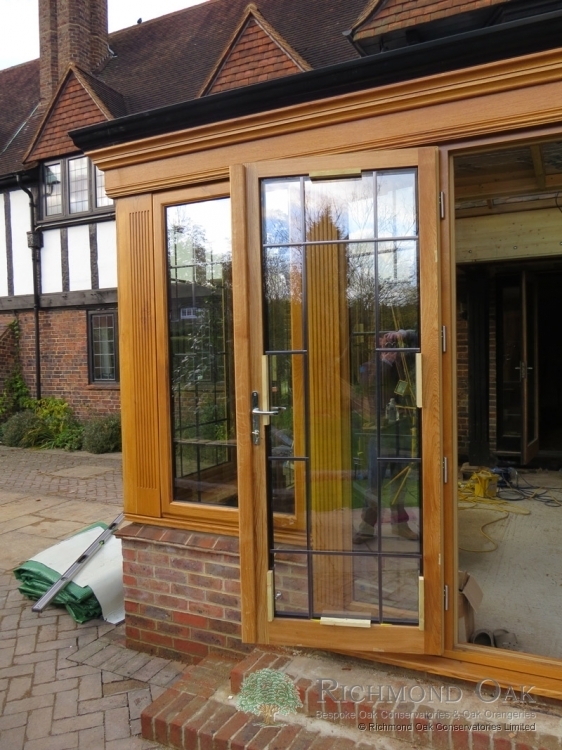 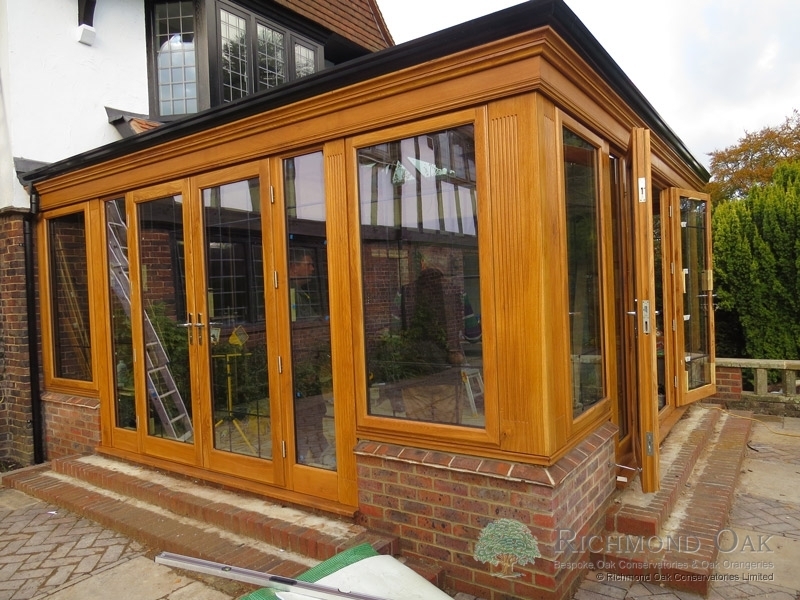 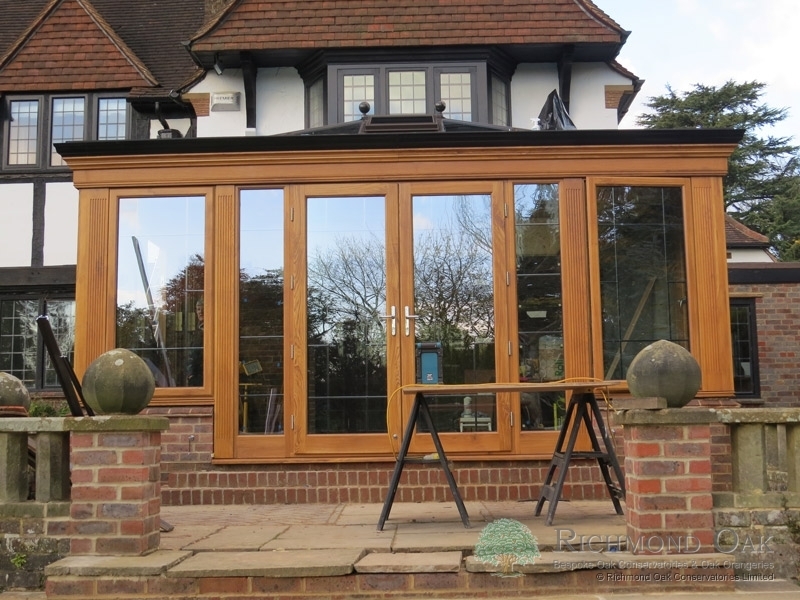 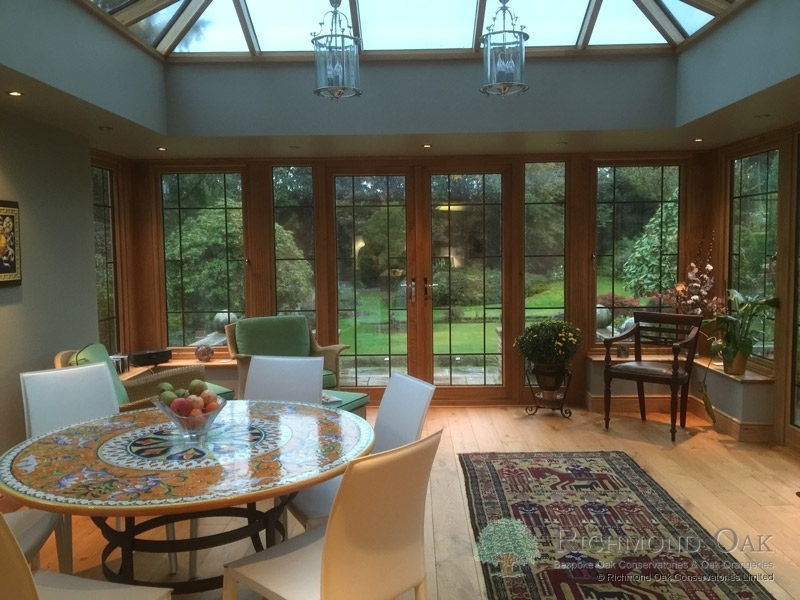 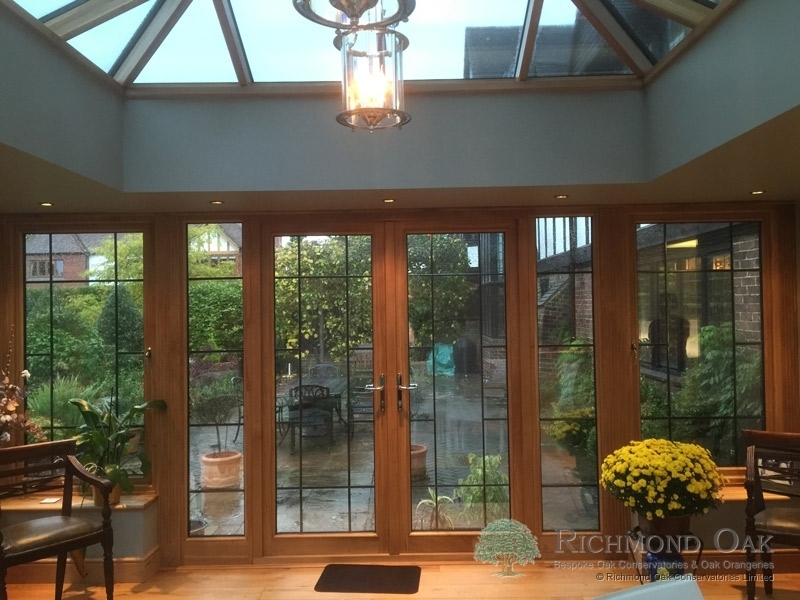 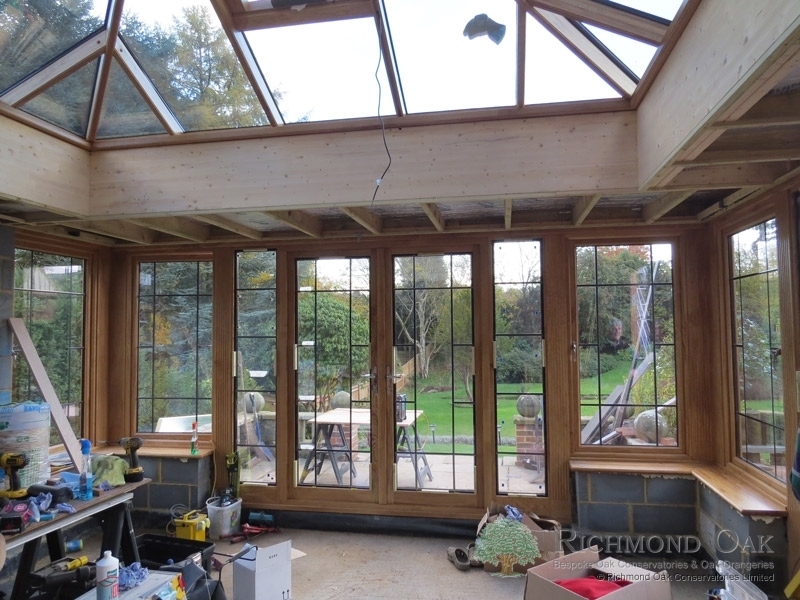 I arranged for Mr & Mrs Ratcliffe to visit another oak colour orangery nearby and it was agreed to have Sadolin Extra Light Oak finish on the outside and Clear Oak finish on the inside. 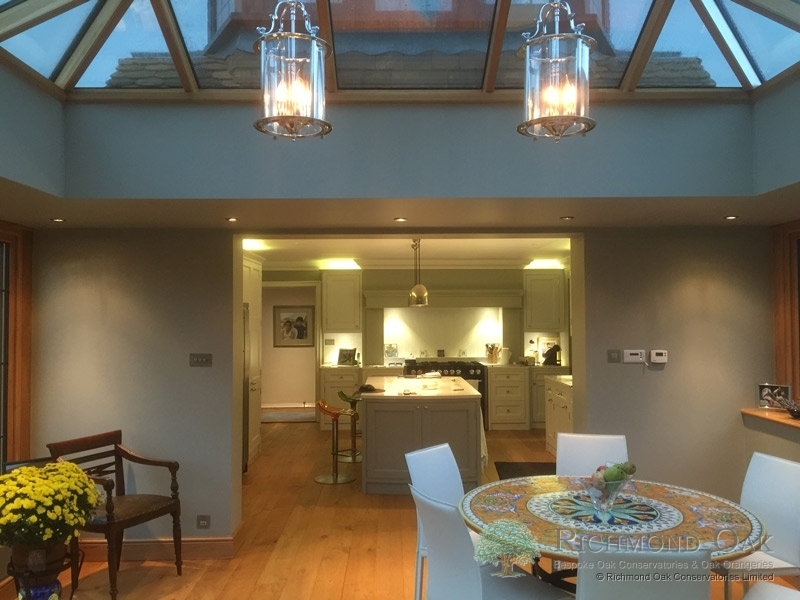 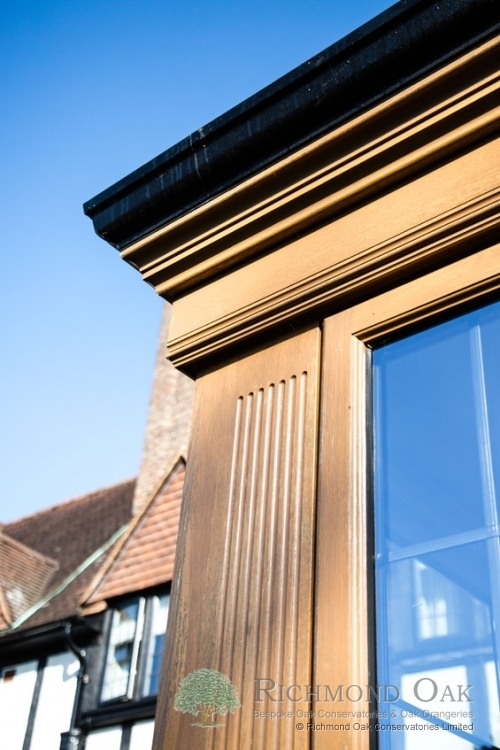 We included 15mm antique leaded lights in the frames and the internal walls and ceiling were quite uniquely painted in a Farrow & Ball colour and, as you can see, the combination of the natural oak and the paint colour provide a warm ambience. 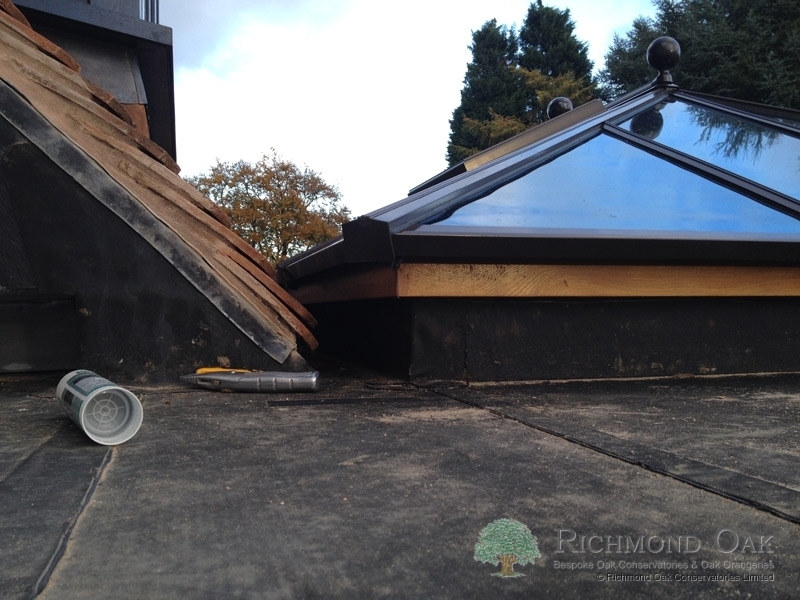 In the photos of the construction phase, you will be able to see the special tiled cill detail to match the windows of the house.